Do you need an urgent delivery of flowers? Don't panic! 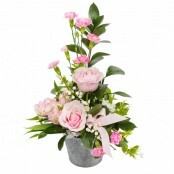 Here at Floral Designs in Great Yarmouth we can deliver flowers same day in Great Yarmouth and surrounding areas. Please order before 2pm and we'll do it! (Providing the delivery address is reasonably local) We have a fine selection of fresh flowers delivered daily, so even if you forgot somebody's birthday of forgot an anniversary we can still deliver a stunning bouquet and impress the recipient with stunning flowers. 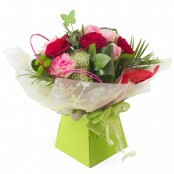 Same day flowers in Great Yarmouth by Floral Designs - guaranteed fresh!